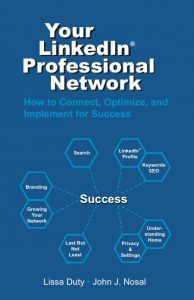 Your LinkedIn® Professional Networking: How to Connect, Optimize, and Implement for Success teaches you how to create top of mind awareness within your LinkedIn network through branding, optimizing your profile and using search to grow your network. Co-authored by Lissa Duty, Advice Interactive Group VP of community management, this book is your go-to CliffsNotes on leveraging LinkedIn. Highlight it, mark it up, refer to it and implement. Your LinkedIn Professional Networking is divided into 8 sections, and integrated throughout this book are best practices, common Q&A and tips how to continually create top of mind awareness within your network. This is a quick easy read that instills the desire to take action right away! Special Price $15. Shipping to US Only.